Also called Super Mario Collection, Super Mario All-Stars is a classic platformer video game compilation that features complete remakes of the original four Super Mario side-scrolling platform games! 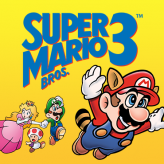 The games included in this compilations are remakes and enhanced version of the original games: Super Mario Bros., Super Mario Bros. 2, Super Mario Bros. 3, and finally, Super Mario Bros. The Lost Levels. Upon release, the game became very popular and successful, and eventually became the "Player's Choice Million Seller" - that is pretty impressive even today. 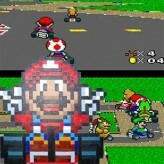 The game was later ported to the Wii System that received a mixed review. 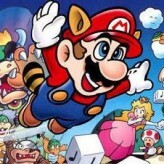 Super Mario All-Stars is an online SNES game that you can play at Emulator Online. This free Super Nintendo game is the United States of America region version for the USA. 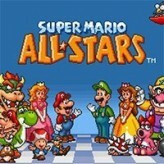 Super Mario All-Stars is a single title from the many platform games, arcade games and mario games offered for this console. 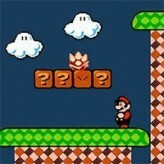 If you enjoyed playing this, then you can find similar games in the snes games category. 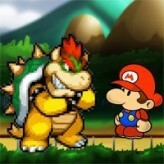 Super Mario All-Stars game is from the various retro games on the site, and there are more games like this, including Super Mario 64, Super Mario All-Stars + Super Mario World and Super Mario World.